Malda is a historically relevant city and one of the biggest cities in West Bengal. The city is positioned at the meeting line of two rivers Mahananda and Kalindi Rivers. It has two municipalities – English Bazar municipality and Old Malda municipality. The district headquarters is English Bazar, also known as Malda. This city is famous for the Folk art from called Gombhira. Almost national Channels and local media channels are operated throughout the city such as Malda Today, MCN News, CCN, High TV, Sabar Cable, Sabar Monorenjan, etc. October to November is the best time to visit this naturally beautiful city. Malda is the hub of fake currency racket, as per National Institute Agency reported 90% fakes currency in entering India Originates in Malda. Which are the famous palaces to see in Malda? What are the famous sports stadiums in Malda? What are the famous hotels in Malda? Why is Malda known as the Mango city? Mango is the most popular product in Malda and outside the country. Malda is one of the essential biggest mangos exporters in India, and that is the reason it is known as the “Mango City”. February and March it is beginning of mango seasons. Mango is exported to many parts of the world. 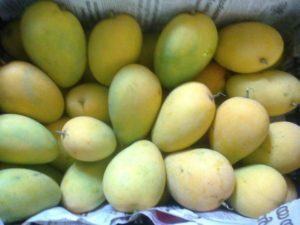 Malda and adjoining district in West Bengal is produced over the 5 lakh tones mango varieties such as Lakshmanbhog, Langra, Himsagar, Rakhalbhog, and Arazana have already hit is the market. Mango orchards occupy larges area; mango trade is, however, the key economic activity held in this city. This city is an important distributing centre for Rice, Jute, and Wheat and largest producer of an excellent quality of jute in India. Now jute, silk and mango big farming are the major industries in the city.